One of the beneficiaries of Burning Man is clearly not counter culture. It is the home improvement megastore Home Depot in Reno and other Nevada cities. Home Depot reports big upticks in sales of items like rope, dusk masks, flashlights and tarps. Their generator sales spike 250% in the weeks just before the Burn. 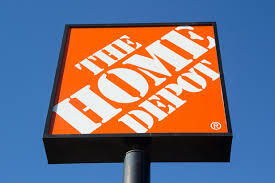 Home Depot’s district manager for northern Nevada says that after seeing the influx of business and interesting customers that he has added attending Burning Man to his “bucket list”.